My Indian Jewellery Collection! : Sneak Peek Part 1 - Divassence! 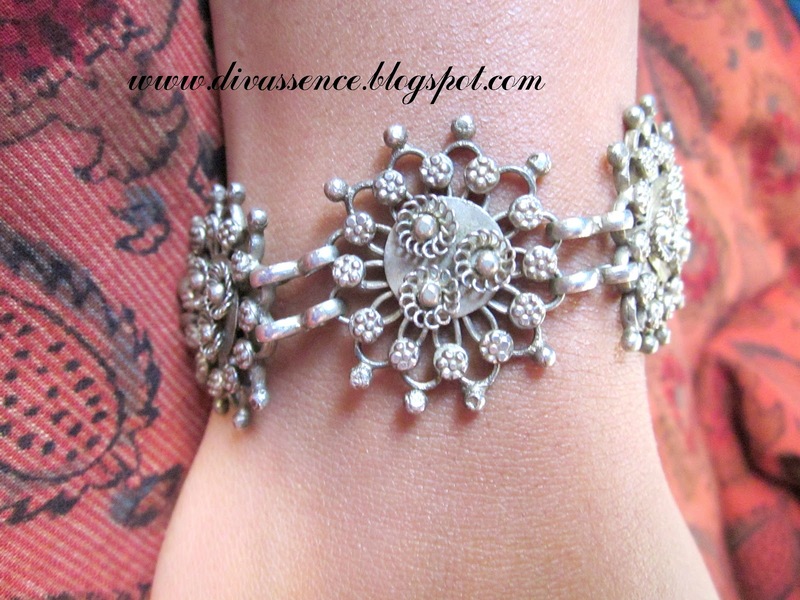 Jewellery in India are based on a lot of intricate work, especially the silver ones. 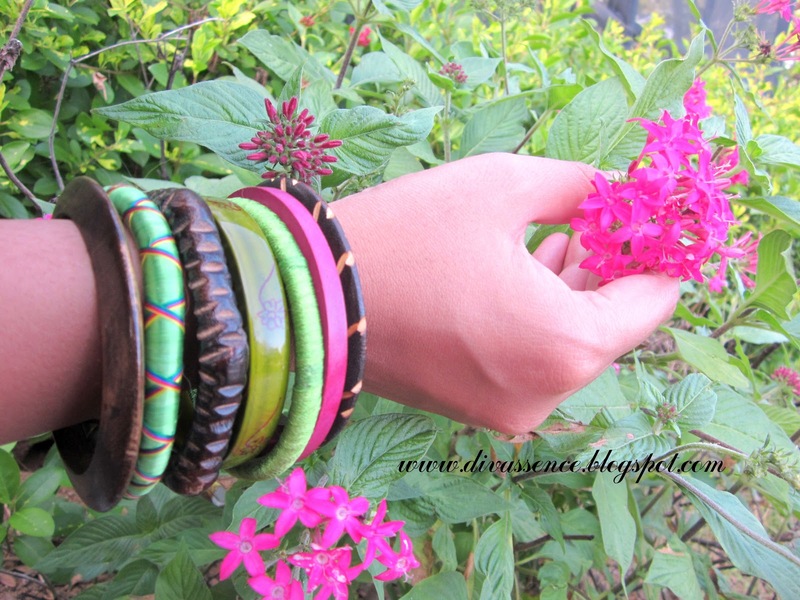 Wooden bangles are also in trend from time unknown. And I love both! So here is a sneak peek into a part of my jewellery collection. (The second part will also have a lot of interesting pieces of jewellery!!) Ill show you guys my entire collection sometime soon! ← Indulge the special women in your life with gifts from The Nature’s Co.
lovely Deepika 🙂 btw whr did u get that bracelet and bangles from? thankies 🙂 what kind of jewellery do you wear? The whole collection is awesome! Hey, I have a weakness for silver jhumkas too!! thank you! where do you buy yours from? 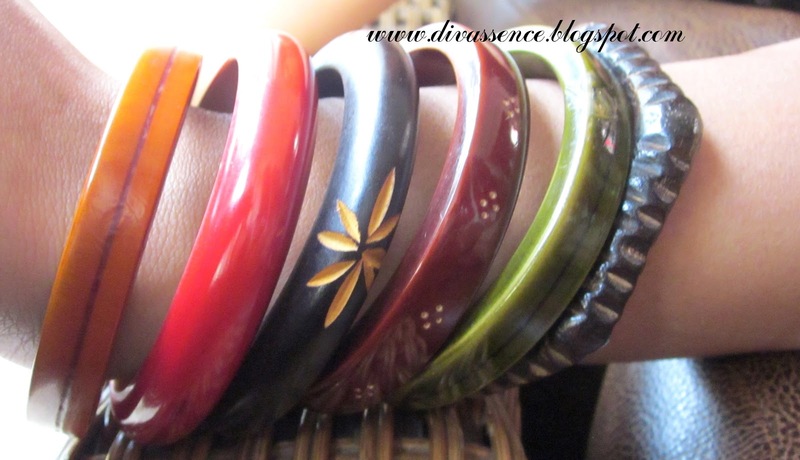 The bracelet and the bangles looks super cute…. thanks Vanu and welcome to Divassence! really? but you wear such lovely makeup that you dont need jewellery! 😀 your eye makeup is awesome on its own! thank shruthi! what kind of jewellery do you wear on a daily basis? am a sucker for intricate designs, esp ones with floral motifs from the Mughal era. i loved, loved the collection you have. you have very fine taste. now i know someone who’s jewellery taste matches what i like 🙂 can’t wait to read the next post on this series, always wanted to know where to get such gorgeous stuff!